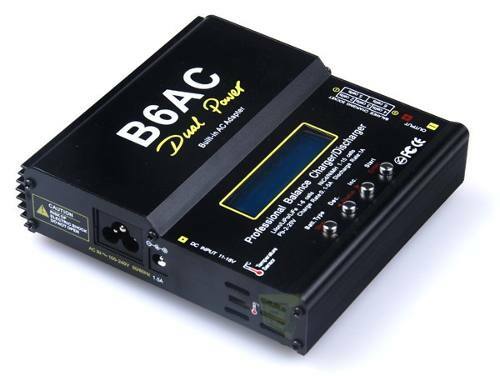 This is an iMax IMAB6ACPLUS B6AC+ AC/DC Balancing Charger. 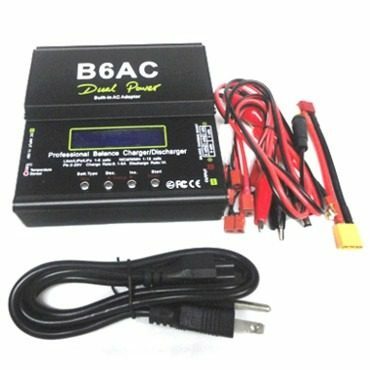 This charger packs alot of features into a small package and is perfect for the hobbyist who wants to be able to charge a wide range of battery types and wants to be able to charge at home (110/120 or 220/240V) and at the field (off of any 12V power source). 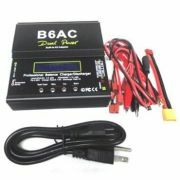 It features built-in balancing for LiPo/LiFE/Li-Ion batteries to keep your batteries at maximum performance. Charger with built-in AC adapter - use at home and at the field. 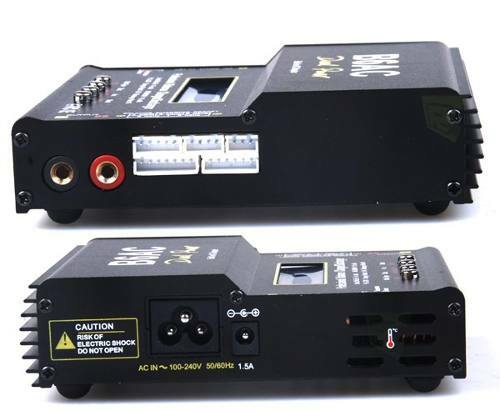 Dual Power multi-use charger for 1-6 Li-Ion/LiPo/LiFe cells, 1-15 NiCd/NiMH cells, and Pb 2-20V. Includes adapters for "Deans" style plugs, JST, Rx pack, glow plug lighter, and alligator clips. Balance plugs on end of unit are JST-XH type and are compatible with many Asian battery packs. Internal independent lithium battery balancer: Employs an individual-cell-voltage balancer to maintain your pack in balance while charging. Balance individual cells during discharge: During the discharge process, B6-Pro can monitor and balance each cell of the pack individually. An error message will sound and the process will end automatically if the voltage of any single cell is abnormal. Fast and Storage mode charging: "Fast" charge will fully charge a lipoly battery in the shortest time. "Store" setting will charge the battery at approximately a 50% charge for long term storage. This prolongs the useful life of the battery pack. Charges various types of LiPoly cells: Includes charging programs for LiFe (A123), Li-Ion, and LiPo battery types. Data store/load: Up to 5 batteries' data can be stored for easy programming. Cyclic charging/discharging: 1-5 cycles of either charge>discharge or dischage>charge is possible.